Mobile Golf is a game for Game Boy Color. The gameplay of this game is similar to other titles in the Mario golf series, but it included support for the Mobile System GB service. It is possible to play as Mario characters in specific modes. 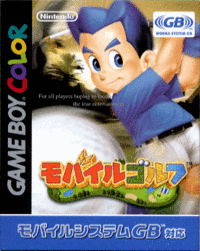 In Japan, this game was the final Game Boy Color game published by Nintendo. This page was last edited on 23 March 2019, at 14:27.